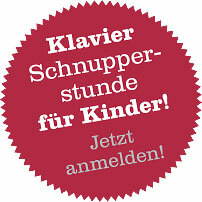 As a special service we offer to find you a suitable piano instructor or music school in or around Hamburg. Profit from our contacts in early music education, music lessons for adults and further instruction in the areas jazz, classical and pop music. Simply give us a call or send us an E-mail.